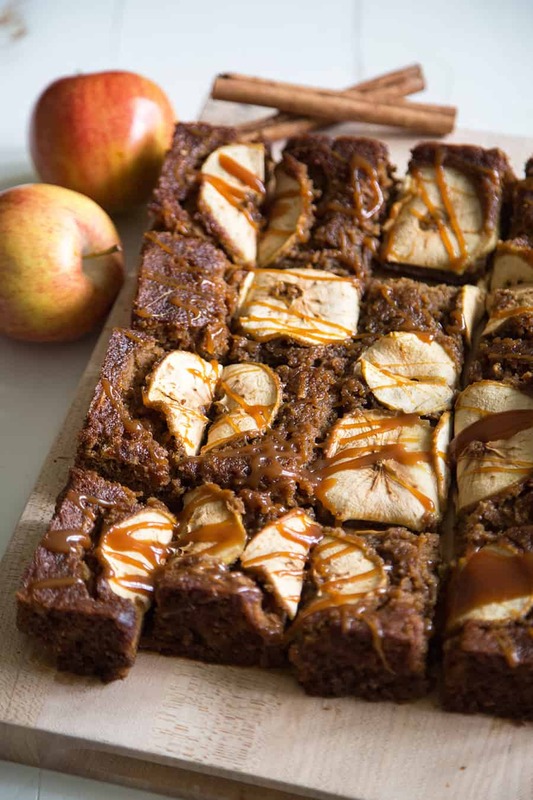 This quick and easy caramel apple sheet cake is a sweet, sticky, and delicious way to up autumn’s apples! Layered cakes, naked cakes, birthday cakes, chocolate cakes, ice cream cakes. The list goes on and on on. 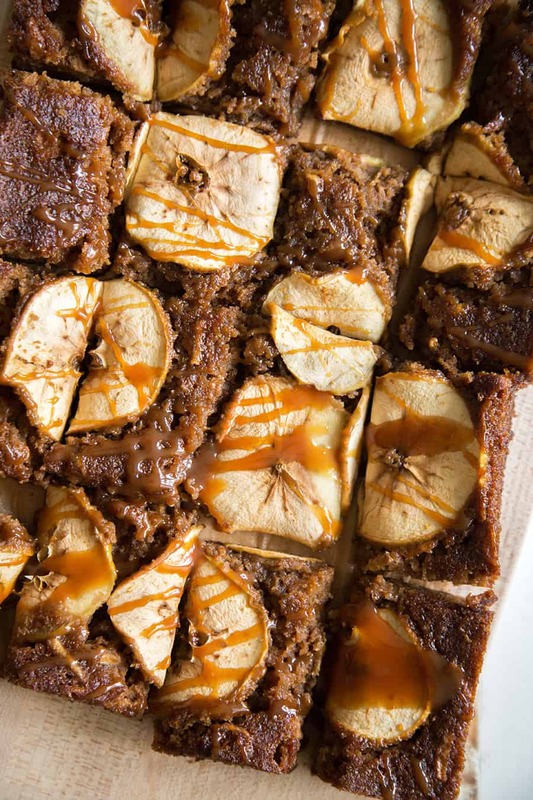 There are so many cake variations out there, but never have I ever met one quite like this caramel apple sheet cake. 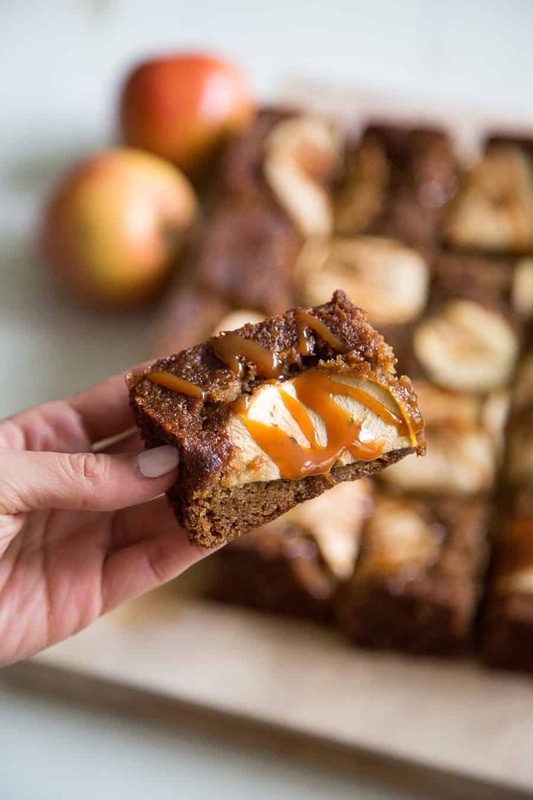 It takes the nostalgic flavors of a caramel apple and mixes it with the ooey gooey quality of a sticky toffee pudding. Needless to say, this is a super tasty treat that’s perfect for sharing with friends this season. I’m sharing the recipe over at BHG’s Delish Dish. 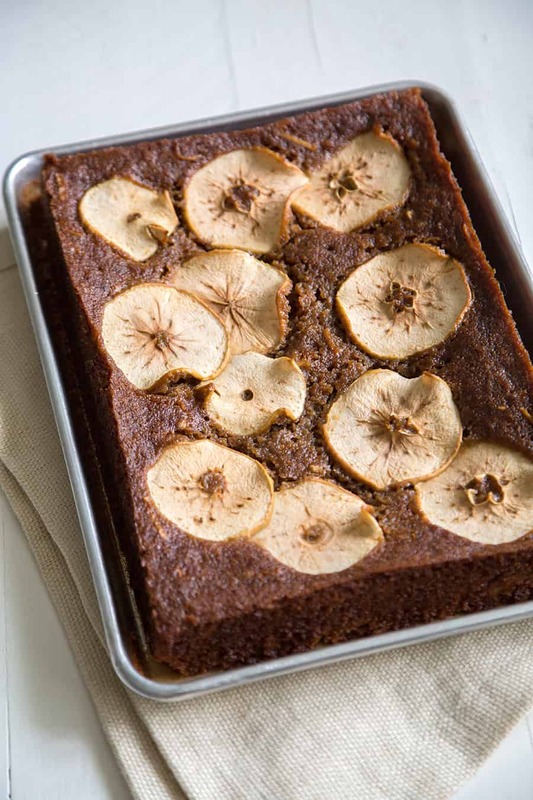 It was inspired by this apple sheet cake. The secret is apple butter! The cake batter is made with a combination of shredded apples and apple butter. The shredded apples help to give it a bit of texture, while the apple butter does wonders to enhance the sweet flavors of the apples. In a pinch, you can substitute in apple sauce, but it won’t give you the same impact. Apple butter is a much more concentrated version of apple sauce. It’s richer in flavor, darker in color, and a little thicker in texture. Preheat oven to 350 degrees F. Lightly grease 9x13-inch baking pan and set aside. Peel, core, and shred one of the apples. Core the remaining apples and thinly slice. In a large bowl, mix together melted butter, brown sugar, apple butter, eggs, and vanilla. Add in flour, cinnamon, baking powder, baking soda, and salt. Stir to combine. Fold in shredded apple. Spread batter into prepared baking pan. Arrange apple slices over leveled batter. Bake for 40-45 minutes until toothpick inserted in center of cake comes out clean. Allow cool completely. Garnish with caramel sauce topping before serving. That looks incredible!! I can NOT wait to try it! It looks so great! I will make it Thanks for your sharing!